The DTO130FS 30" single wall electric oven has a capacity of 4.8 cu. ft. This oven has Dacor's Exclusive Four-Part Pure Convection™ System which reduces cooking time, increase heat distribution and eliminates flavor transfer. to accommodate large dishes and meals. uses an 8-pass calrod element to broil food quickly and evenly. in each oven for multi-rack cooking. and 2 Chrome racks in the oven cell. GlideRacks fully extend out of the oven using a smooth gliding ball bearing system for moving heavier dishes in and out of the oven easily. GlideRacks and Chrome racks are equipped with a convenient handle in front for a secure grasp. 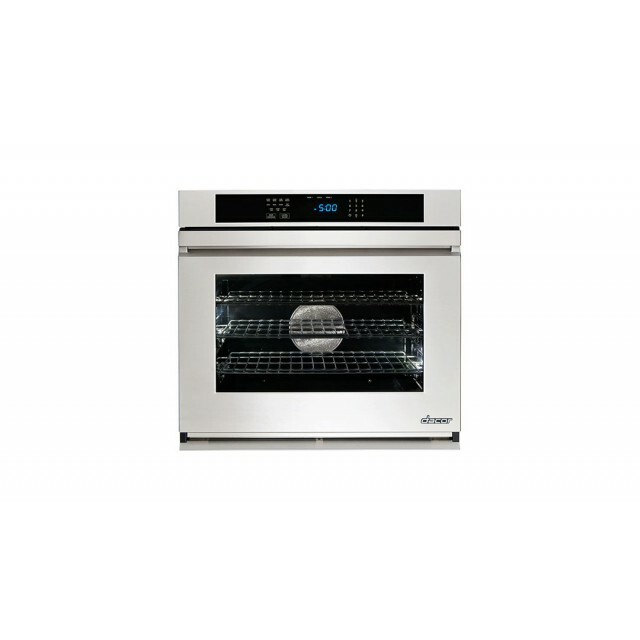 This wall oven has such a large capacity, I have a huge family so this works great for us. The Seven rack positions all gives me tons of flexibility when I need to use multiple racks.